Applying liquid eyeliner is hard enough, but especially so when you're working with a fussy, hard-to-handle formula. (That's especially true if you're creating a cat eye, which remains one of the hardest and most precious beauty feats that anyone can master.) We're referring to those lackluster formulas that leave much to be desired. You know the ones—they're either clumpy, sheer, or difficult to control, resulting in jagged shapes that require a cotton swab, makeup remover, time, and patience to fix. While we always have a few cotton swabs and a lot of makeup remover on hand, we don't always have a surplus of time and patience, which is why we stick to formulas that we know perform well. How are we so sure, though, that these eyeliners perform so well? Easy—the internet. Whether it's makeup blogs, social media, or customer reviews, we're convinced we've found the 10 best liquid eyeliner formulas. This Stila pick is a Byrdie-editor favorite. It's all thanks to the thin felt tip that's easy to control, depositing just the right amount of fluid black ink—never too much and never too little. Because of this, and its all-day staying power, it's been our go-to for creating the perfect cat eye for years. If you don't believe us, take it from real Ulta customers. 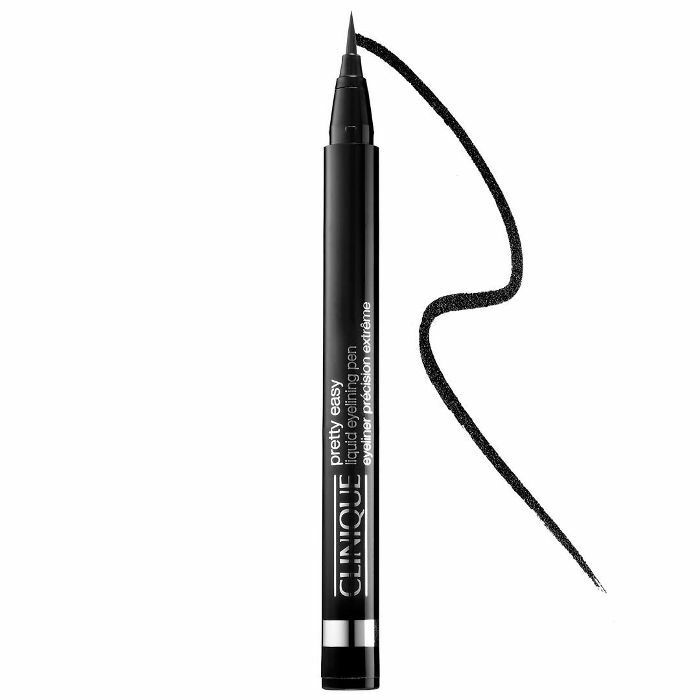 There's a reason that it remains the beauty retailer's best-selling liquid liner. Another Byrdie favorite, this Sephora Collection liner is legitimately amazing for only costing $12 a pop. It's ultra-pigmented and fluid (I, for one, have had this in my makeup bag for six months and it has yet to dry out or get goopy). 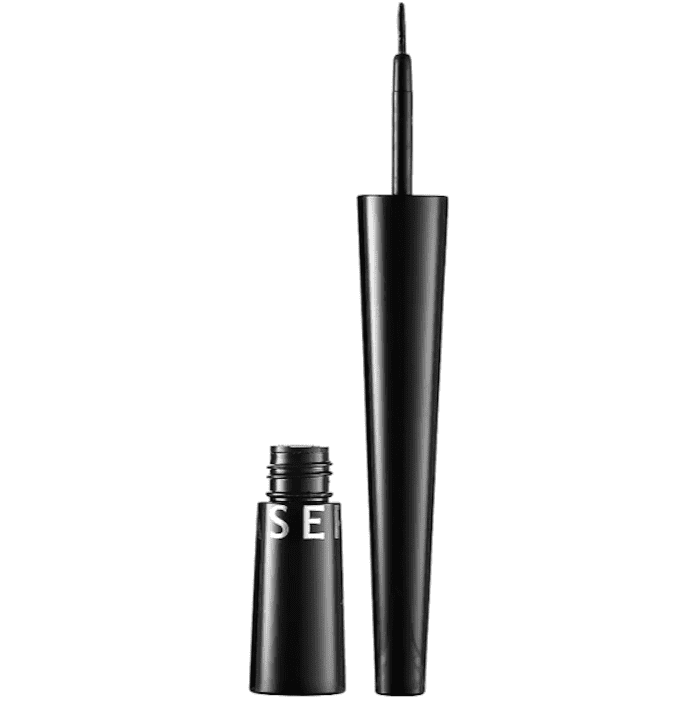 It has 40,000 "loves" on Sephora's website, with reviews like this: "This eye liner is simply awesome. It stays on for hours and doesn't fade. The best thing? It's so cheap! Buy it!" Eyeko is a British beauty brand that makes some seriously stellar eye products (for proof, just read this review on the brand's newly released customizable mascara). Even though it comes from a Brit brand, this eyeliner was developed in Japan and inspired by traditional calligraphy brushes. It's waterproof, fade-proof, and long-lasting. It even has peptides that encourage lash growth, which is kind of brilliant. "I generally don't wear makeup unless I'm going out for the night. I have oily eyelids, so most liners don't make it through the night without turning me into a raccoon. This one stayed in place despite my oily lids and sweat from a night of dancing. It produces a nice, thin, constant line of liner and the fine tip made it easy to apply between my lashes," writes one reviewer. Here's another insanely well-loved eyeliner. 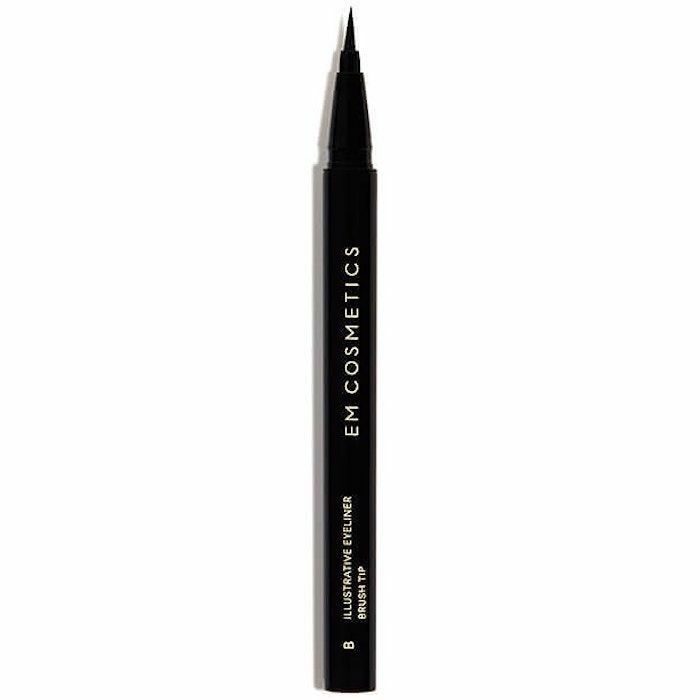 It still ranks as one of Sephora's best-selling liquid liners (with 380,000 "loves" no less). It's opaque, fade-, melt-, and crack-proof, but what we love most about it is that it's 100% vegan and cruelty-free, just like all other Kat Von D products. Be sure to check out our exclusive interview with the makeup entrepreneur, all about her commitment to ethical beauty. As far as drugstore liner goes, this Revlon one ranks somewhere near the top, seeing as it's one of the top-rated liners at Target. Since it's from the brand's ColorStay line, it boasts 16-hour staying power, though for us it was more like eight-hour staying power (still impressive). "I much prefer the shorter-tubed liquid eyeliners so I can get very close to my magnifying mirror. The liner stays on all day. I've repurchased this five times. I remove with cotton pads and micellar water," writes one reviewer. Em Cosmetics is Michelle Phan's beauty brand and brainchild (you know, the makeup blogger and entrepreneur extraordinaire?). Our editorial director, Faith Xue, swears by the brand's felt-tip liquid liner, which was inspired by comic art pens and their bold, one-stroke color. Subsequently, this liner creates a beautifully opaque graphic line, dries down quickly, and stays put thanks to a waterproof formula. It's also cruelty-free and vegan. Take it from one reviewer, who writes, "Got this in my Ipsy bag and I am in love! It is so easy to apply and it wears all day. Needless to say I think I finally found a holy grail liner!" 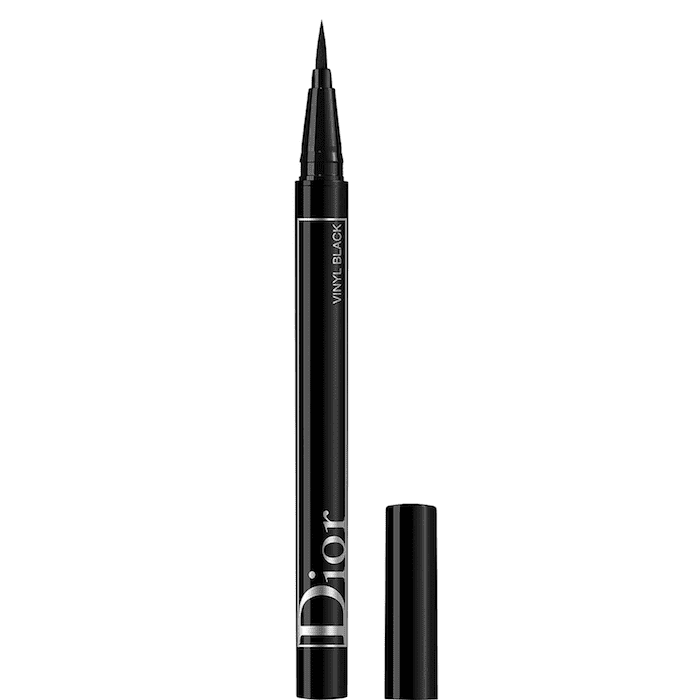 Dior's newest liquid liner, which joins the many other formulas the brand already boasts, is this ink pen version. What's unique about this one is that it comes in three different finishes. There's matte, vinyl (or glossy), and pearl, which has tiny light-reflecting bits suspended throughout. Also, if you're bored with plain black liner, there are a whole host of fun colors to try, including bubblegum pink, kelly green, and bright turquoise. 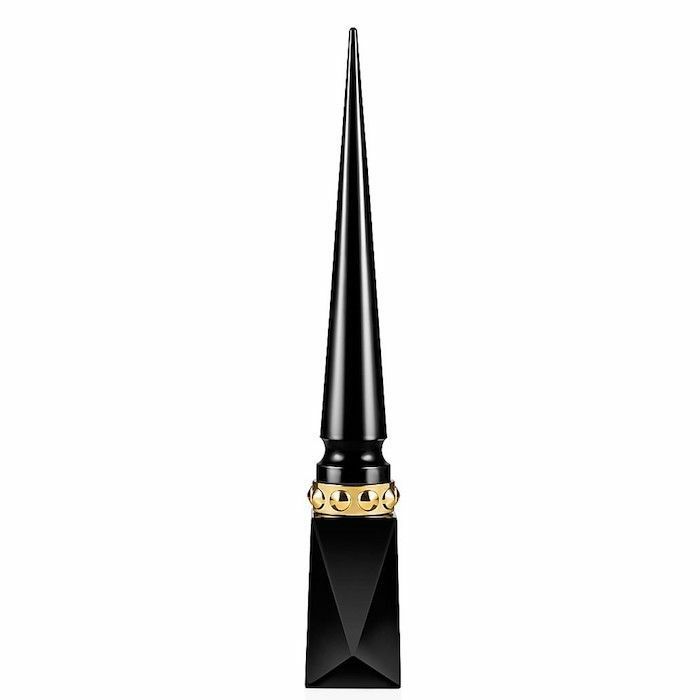 This is definitely the most luxurious liquid liner on the list, but this Christian Louboutin ink has a soft and flexible texture along with a glossy finish. It has almost 2500 "loves" on Sephora's website as well as some glowing reviews, like this one: "I did not want to like a $75 eyeliner. I really, really did not want to like it....however, this eyeliner is WONDERFUL. First of all the applicator is the best I've tried out of a liquid liner. It is very easy to use and is perfect for detail work. 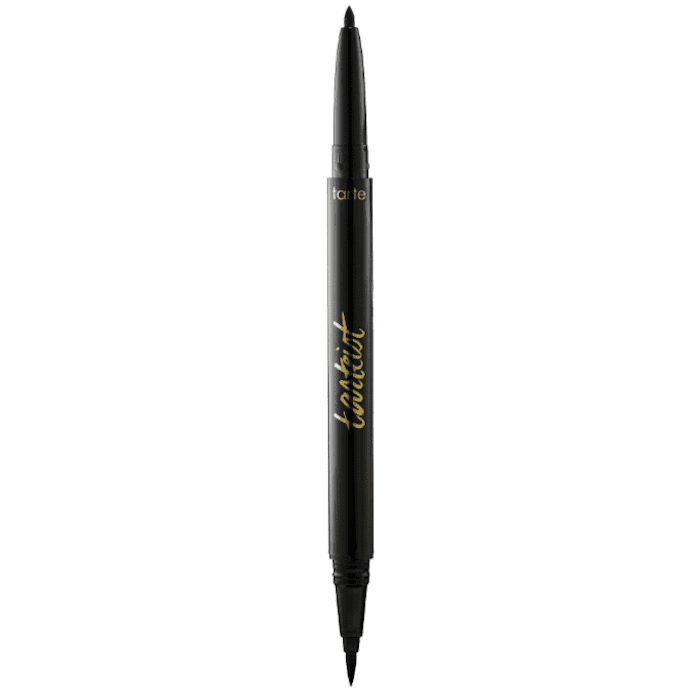 The eyeliner itself is super long lasting and DOES NOT BUDGE once dried. It really is a wonderful product and comparatively you do get a good amount of product so if you break it down by amount of product it is not as high priced as it seems. I will be buying again. The only thing to be aware is it is not waterproof so if you want a waterproof formula this is not for you. For me it is wonderful." 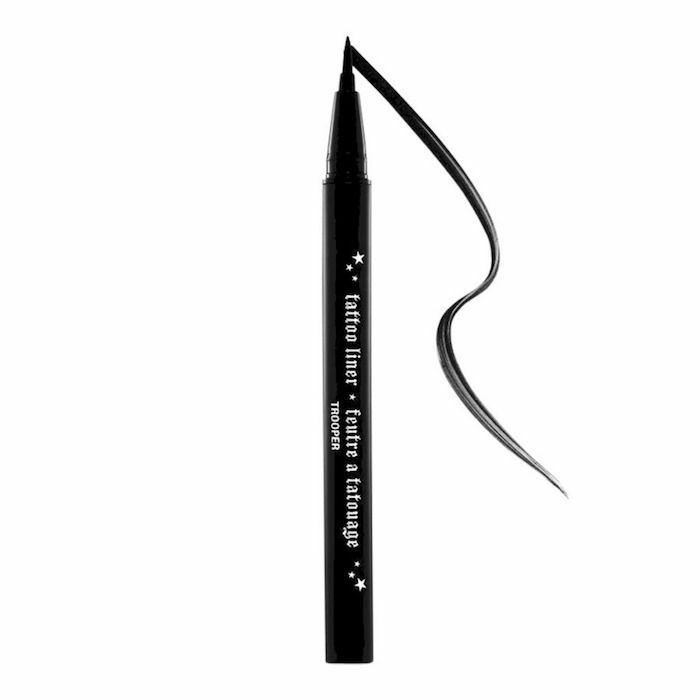 This is one of Ulta's best-selling liquid liners, regardless of brand or price. (It's also the top-rated liner on Target's website.) The ultra-fine brush deposits a thin line of stark matte ink, making it perfect for classic cat eye flicks. As one reviewer writes, "I wasn't sure I needed to try anymore kinds of eyeliner but for a wing this is a must! The brush is super skinny and easy to control. It's easy to get a perfect line." Leave it to Tarte to master the art of creating a two-in-one eyeliner. This pencil is dual-sided. One side has the brand's traditional black pencil liner, while the other is equipped with a long-wearing waterproof liquid liner. "Because of the double-ended part about this eyeliner, I was already excited. 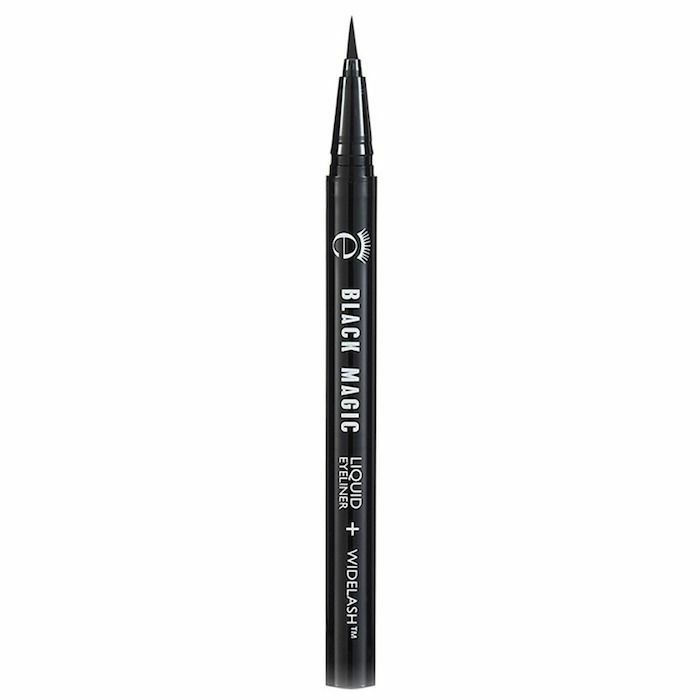 Once I've tried it, I already knew that this is going to be my favorite pen eyeliner! It's super pigmented, lasts for a long time, and it's really easy to apply! It also seems like this pen won't run out very quick because of the wonderful pigmentation it brings. It's as if it's a marker. We'll see, though! Overall, I highly recommend this to anyone, especially those who have tried and loved Kat Von D's or Stila's eyeliner pen!" 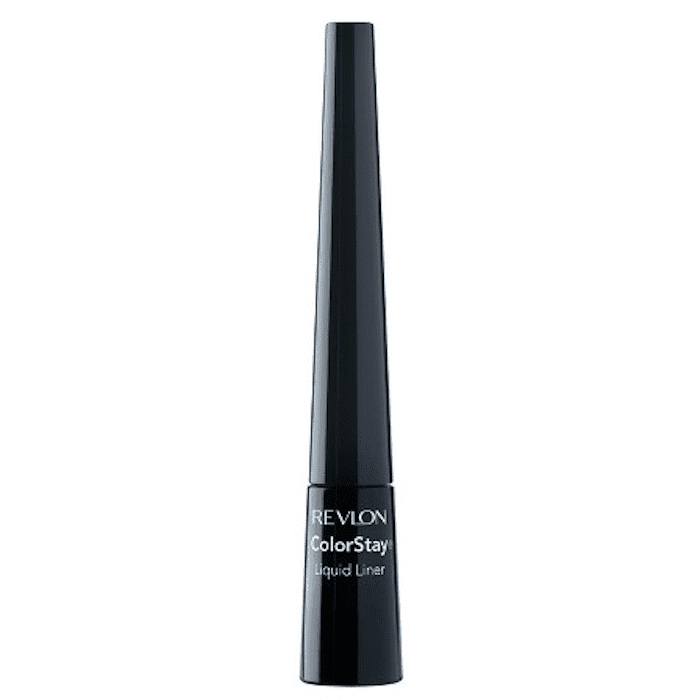 Have you ever used a liquid eyeliner pen, only for it to run out of pigment mid-application? Then you have to tilt it upside down, so the liquid can reach the pen tip, before trying to apply it again. That's annoying. An easy way to get around that is to buy an eyeliner that comes in this inkpot packaging. 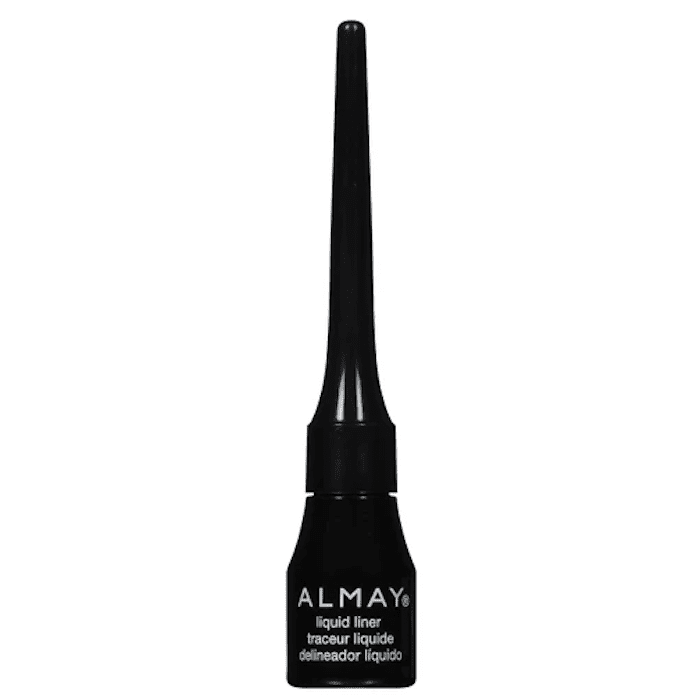 All you have to do is dip the pen tip into the liquid for smooth (never dry or flaky) application. This Clinique product was made for people who don't like liquid eyeliner. 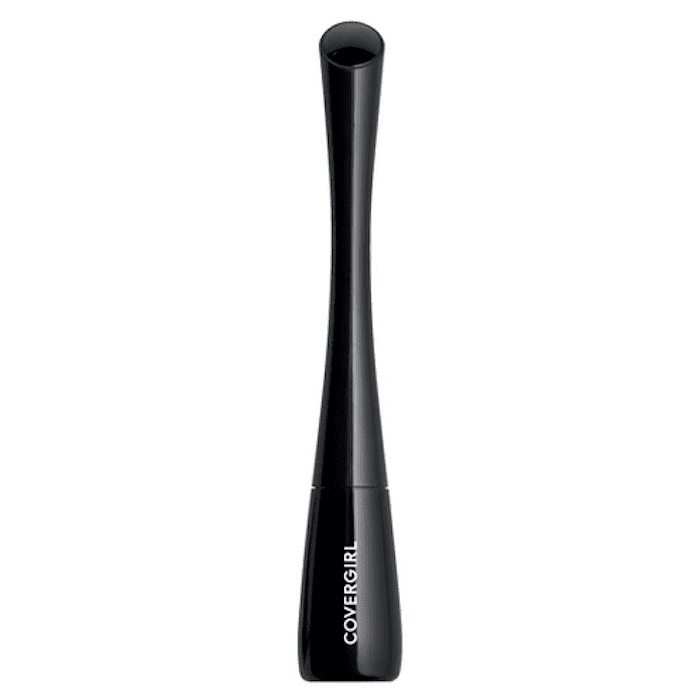 It applies smoothly and opaque, with lots of control thanks to the thick tube. 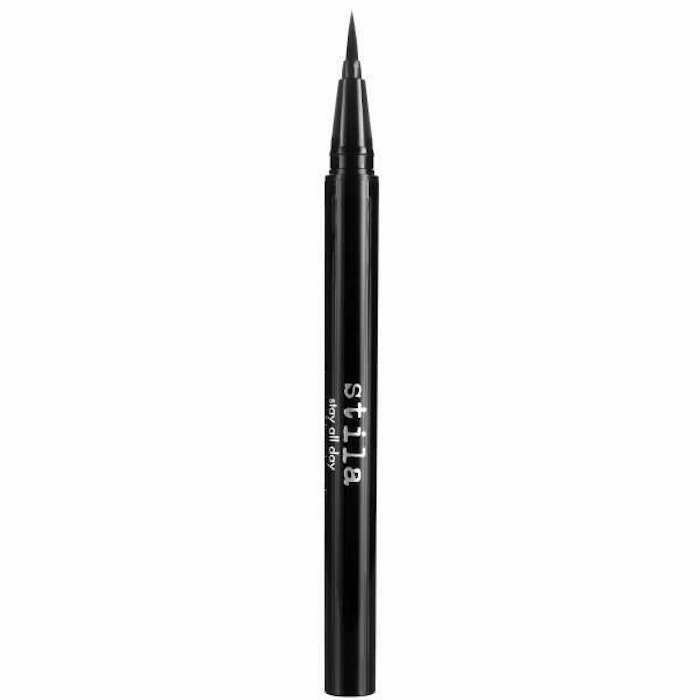 "I can't believe how perfect this eyeliner is," one reviewer writes, "I have tried so many name brand eyeliners, and this one is the best by far. I will never try another eyeliner again if they keep it just the way it is. It goes on so smooth and last all day without smudging. Thank you, Clinique, for making such a great product! I will be telling everyone about this eyeliner." 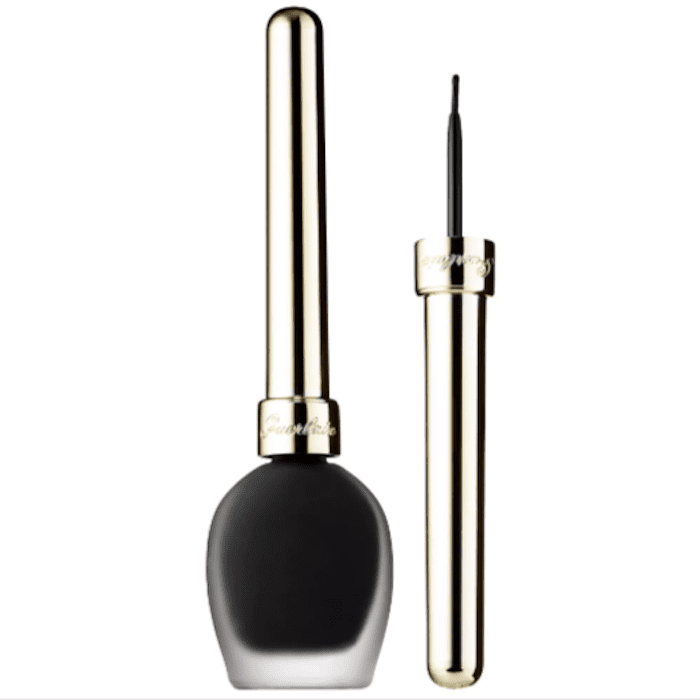 This CoverGirl pick is one of Target's best-selling liquid eyeliners (notice the chic new packaging!). It has a super-tiny .1 mm tip, which makes it great for applying thin and precise line. We like its quick-drying formula, which keeps rogue smudges and feathering from happening. Take it from one reviewer, who writes, "I really like this product! It stays put and doesn't smudge. I like how thin the applicator tip is, you can make it as thick or thin as you want. One of the better liquid eyeliners I've tried—it takes a lot of rubbing for it to come off or smudge." Guerlain's limited-edition liquid eyeliner is one for the books. First off, just look at that luxurious packaging. It's heavy, chic, and practically made to sit proudly atop a vanity. Then there's the actual formula, which is lightweight and flexible. Finally, there's the dense, slow-moving brush, which makes it easy to create super-precise lines. "I was compelled to write my very first review because this product is the best! 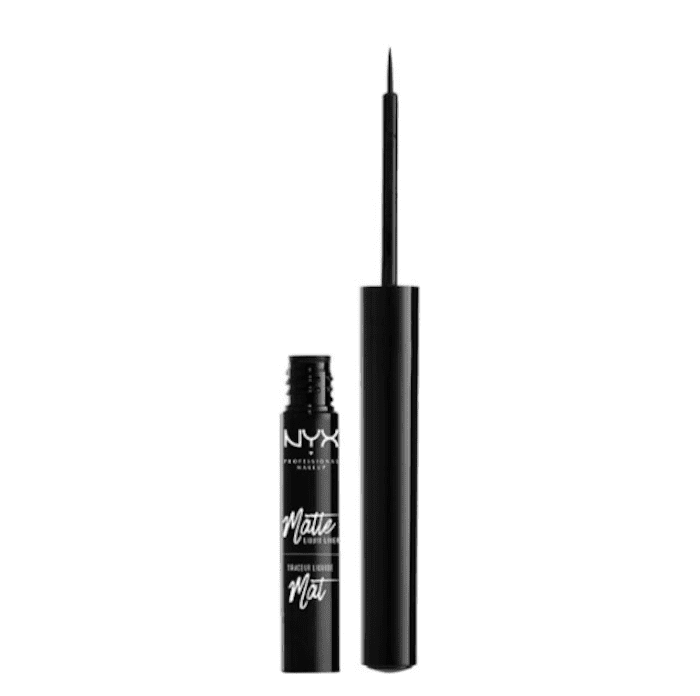 I've searched long and hard for the perfect liquid liner and I've finally found it. The color is pigmented and gorgeous, it applies like liquid velvet, which means no snagging or awkward jagged lines. Mistakes are easily fixed with a q tip and it stays put all day. I'm in love with this liner!" writes one customer. Now that you have the internet's best liquid eyeliner recommendations, check out how you should apply eyeliner to suit your specific eye shape. Then, check out the best eyeliners for your specific eye color, as told by expert makeup artists.